Are you passionate about The Made in America Movement and inspiring others? Interested in companies that are making an effort to grow jobs in the United States and news that affects our communities? 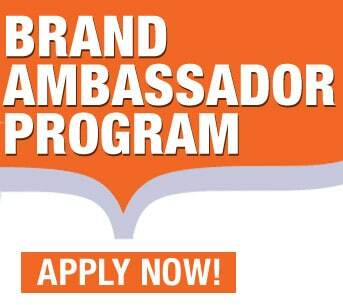 Then you may be the perfect candidate to become a Made in America Movement (MAM) Ambassador! Scroll down and fill out the form to let us know. What is a MAM Ambassador? MAM Ambassadors are social media influencers who work with MAM and MAM’s American brand partners. MAM’s mission is to be a conduit for change by uniting American voices and increasing American jobs. An ideal match is one where the MAM Ambassador (and their audience) matches with that mission. Our Ambassadors have a strong presence on their social media channels, high-quality content with a definitive voice and a passion for Made in USA! Why should you become a MAM Ambassador? You are excited about American made and believe that individual choices will help strengthen our great country. You’re a patriot that cares about the direction of our country, investment in our future, and technology, combined with quality, that will get us there. If any of those are true, and you are interested in being part of the Movement that’s behind the tsunami of reshoring, and job growth in the USA, you are the perfect candidate for a MAM Ambassador. How do I become a MAM Ambassador? Complete, and submit, your application below. After submission, we review each one individually to see if your content and social media presence is the right fit for the Ambassador program. Are there any costs to become a MAM Ambassador? Absolutely not. Our team works hard every day on MAM and are thankful you’d like to be part of that. Thanks to their efforts, and our wonderful MAM Member companies, we’re able to include key influencers as brand ambassadors. Plus, throughout the year, there may be opportunities available for exclusive giveaways, discounts, and rewards to MAM Ambassadors. Our thanks to you for helping the Movement. You must have an active social media presence on at least one of the following channels: a personal blog, Twitter, YouTube or Instagram. You can be located anywhere in the world, but we are looking for influencers whose content is communicated in English. Willingness to help get the word out by sharing our message to Buy American made products, and by promoting our giveaways, contests and free content. Don’t worry, we have tools to make this really easy and you always have full control of what you talk about on your channels.